While any artist can release a solid bop, not everyone can release an equally engaging music video. It takes true talent and a keen visual eye to create a video that captures the essence of a song while also elevating its meaning. There were a handful of artists who dropped outstanding videos to accompany their top singles in 2017, but no artists created better music videos than the 10 below. Which artist will take the number one spot on our list? Keep scrolling to find out. Sigrid quickly rose to the top of the charts with her uplifting single "Don&apos;t Kill My Vibe," and the music video had us falling in love even deeper with this anthem. Watching Sigrid dance from frame to frame without a care in the world is an aspiration we all hope to achieve. We did not expect to see Harry Styles fly across the sky in the video for his debut solo single "Sign of the Times," but we did enjoy it. Haven&apos;t we all wished we could take to the air to get away from our problems? 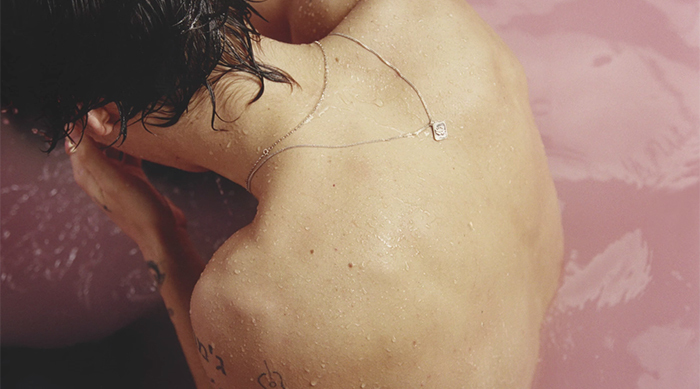 Harry&apos;s captivating video proves it&apos;s possible—at least for Harry, that is. Maybe one day soon we&apos;ll experience a moment like this. Heartbreak is never easy to deal with. If anyone understands that, it&apos;s LÉON. Her heart-rending music video for "Liar" showcases all the pain one feels immediately following a horrible breakup. Though the video is dark, there&apos;s something so powerful in LÉON&apos;s vulnerability, both lyrically and visually. Disney&apos;s live-action Beauty and the Beast is by far one of the greatest movies released this year. Heck, maybe even ever. The film is a cinematic masterpiece due to its breathtaking visuals, and we weren&apos;t at all shocked that Ariana Grande and John Legend&apos;s music video for the classic tune "Beauty and the Beast" was just as awe-inspiring. It&apos;s pure magic, to say the least. On the surface, Katy Perry&apos;s music video for "Chained to the Rhythm" appears to be another bright, Katy-esque video. But there&apos;s so much more to it than that. While it is captivating, it really makes you ponder the questions of life. Miley Cyrus came back with full force when she released her lovely single "Malibu," a song about her relationship with Liam Hemsworth, and the music video is just as sweet as the romantic tune. We&apos;re ready to hit up the beaches of Malibu with Miley while running across the sand with balloons in our hands. Emerging with a brand new aesthetic and sound, Paramore&apos;s album After Laughter proves they&apos;re going to be around for good. We wouldn&apos;t have it any other way. Everything this band puts out never ceases to amaze us, including their enigmatic video for "Told You So." HAIM once again proved they&apos;re the coolest girls in town with their groovy video for "Want You Back." Watching these girls dance their way down a desolate Ventura Boulevard in Los Angeles, California left us wanting to do the same. If they ever need a fourth member, we&apos;re up for the task. We shamelessly admit we cried the first time we watched Lana Del Rey&apos;s music video for "Love." Honestly, we still get teary-eyed ever single time we press play. Hypnotizing as ever, it leaves us emotional in the best way possible. This is Lana at her best. 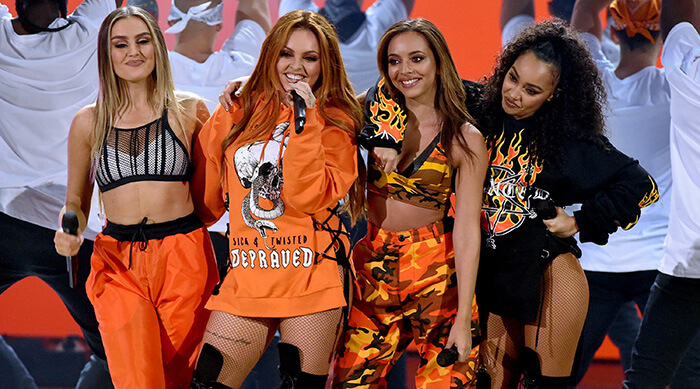 Little Mix have seriously outdone themselves with the music videos they&apos;ve released this year, but nothing will ever beat the empowering and energetic video for their single "Power." Visually stunning, this girl power-driven music video reminds us to celebrate our fellow females despite our differences. The world could learn a lot from these girls. While we&apos;re big fans of these artists, allow us to introduce you to some top-notch unknown musicians you&apos;ll enjoy, too, HERE.